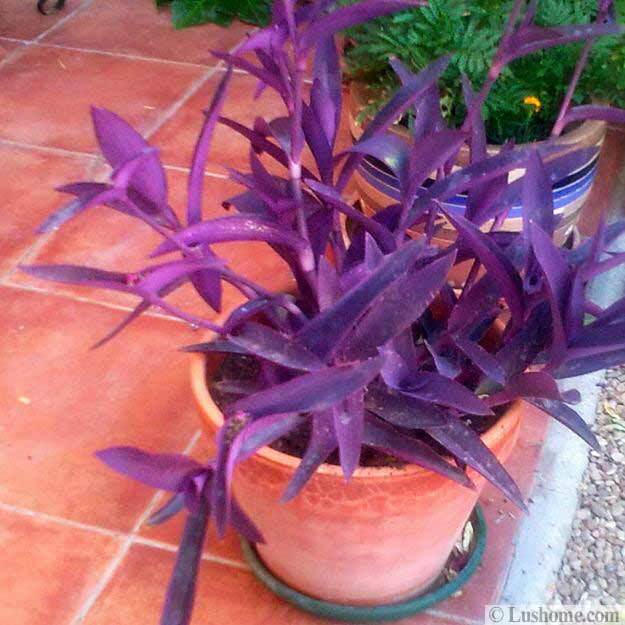 Tradescantia plants are great for interior decorating and garden design. 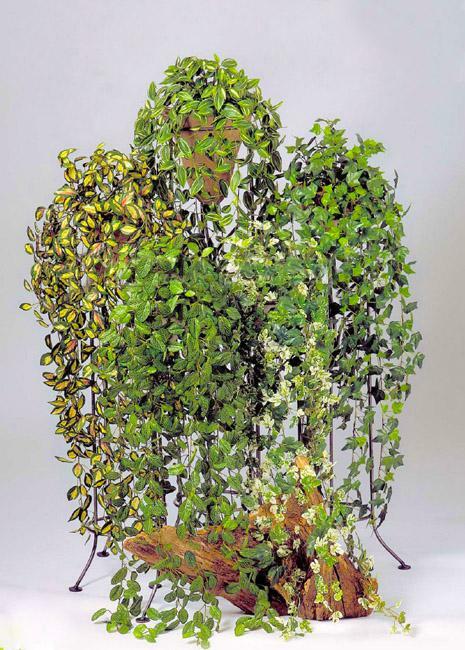 These flowering plants create fabulous cascading displays for outdoor and interior decorating, make nice eco friendly home decorations, edging and ground cover plants for beautiful garden design. 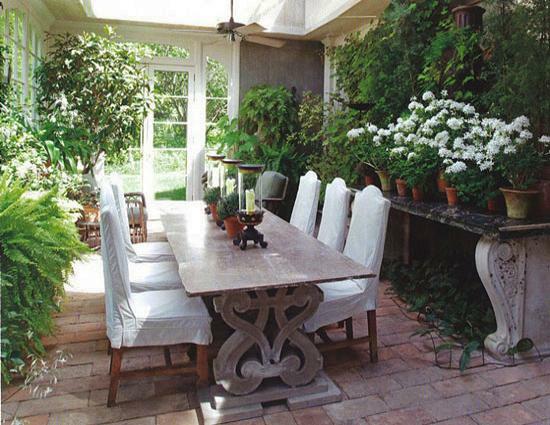 Lushome shares a collection of garden design and interior decorating ideas that demonstrate how to use these shade plants in rooms and yard landscaping. 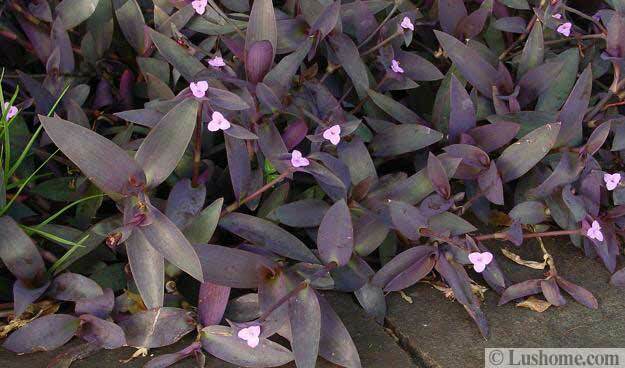 Tradescantia is a genus of 75 species of perennial flowering plants with triangular leaves in purple color or deep green colors. Some of these plants are pendant, others grow more upright. Garden design and interior decorating with these unique and beautiful flowering plants look lush and spectacular. 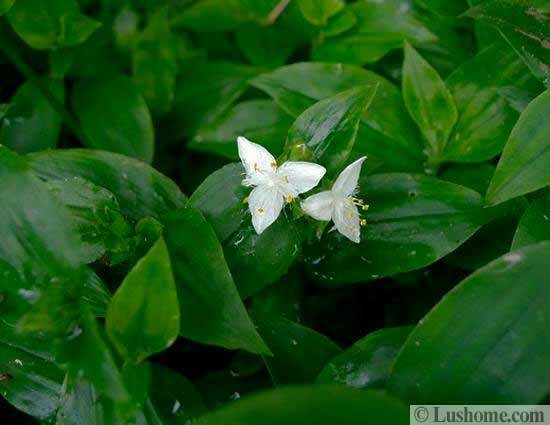 Native to the Americas, from southern Canada to northern Argentina, these plants produce leaves in various colors and bloom in spring creating small white and pink flowers. 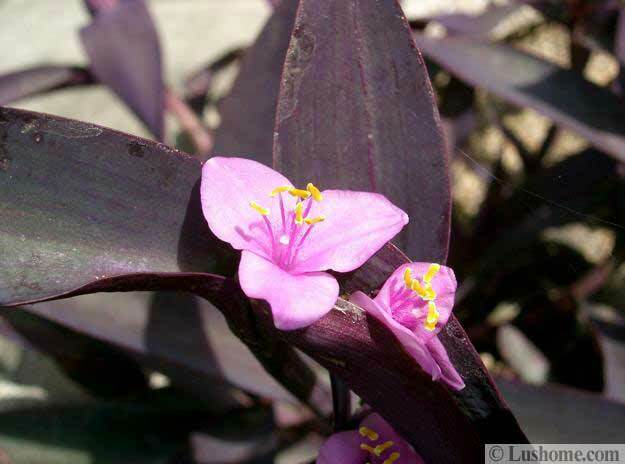 Tradescantia plants have triangular three-petaled flowers, which are tender and pretty. These American plants are excellent for interior decorating, for corners and unappealing walls. 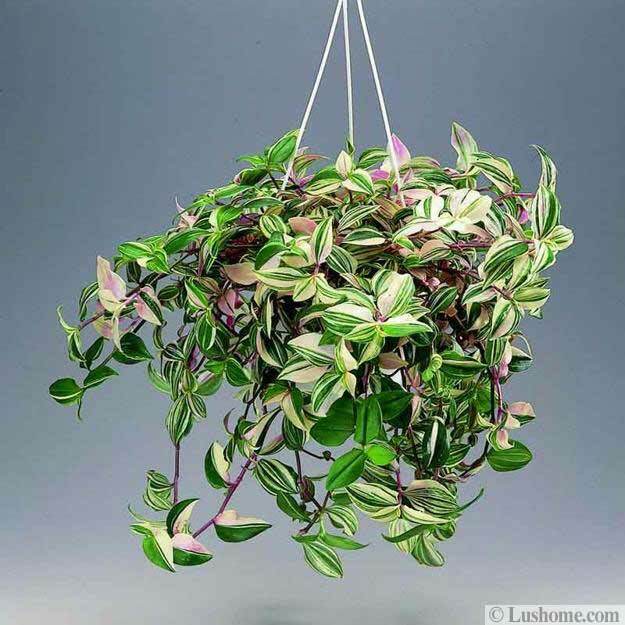 Tradescantia plants can be combined with other decorative grasses and flowering plants to create stunning centerpieces in deep green colors or rich purple color for interior decorating and garden design. 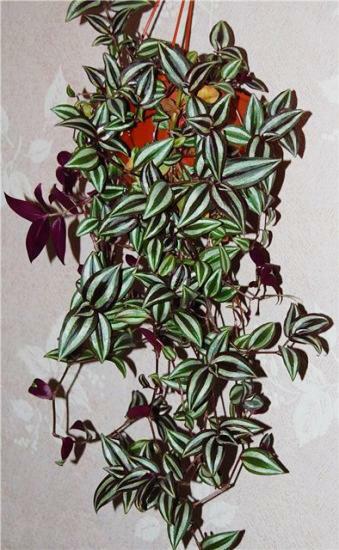 Tradescantia is distinctive in its ability to colonize low light areas. 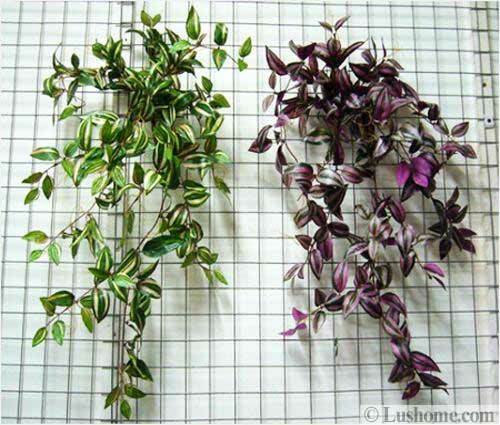 It can form a dense mat under trees and create cascading wall decorations in purple color or deep green color shades. 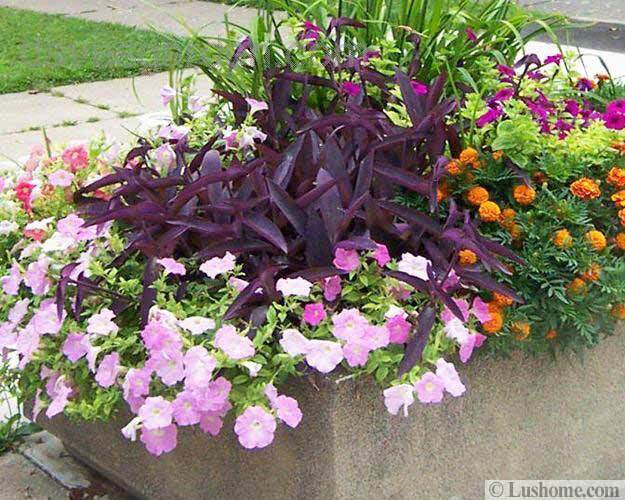 These easy to grow and very decorative plants require bright to moderate sun light. 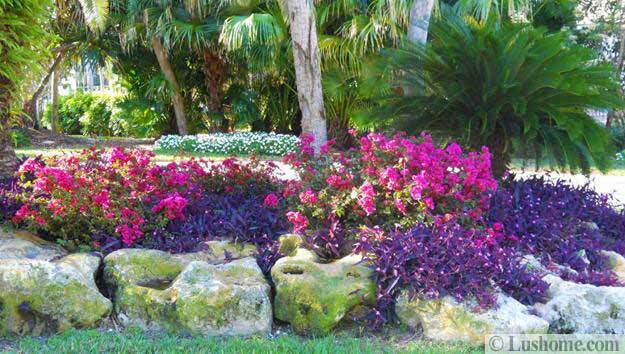 Some varieties are shade plants which grow well in dark corners and under trees. These plants need lots of water in the growing season, but like the soil to dry between watering times. 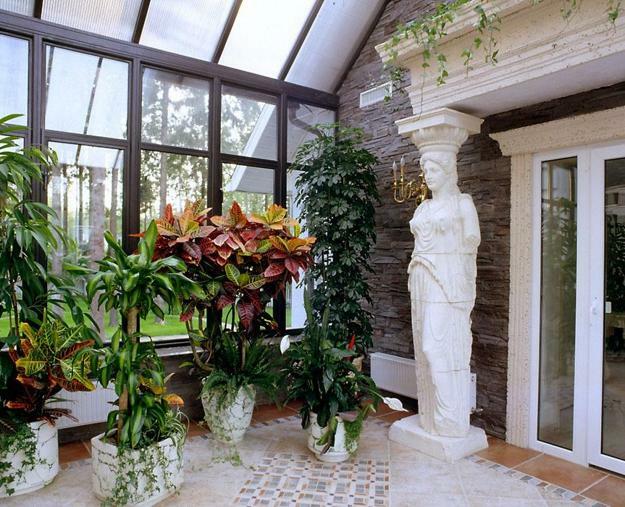 Loose, well-drained potting mix is ideal soil for growing tradescatia plants for interior decorating. Tradescantia plants root easily from cuttings, and stems that come into contact with the soil will readily sprout roots.